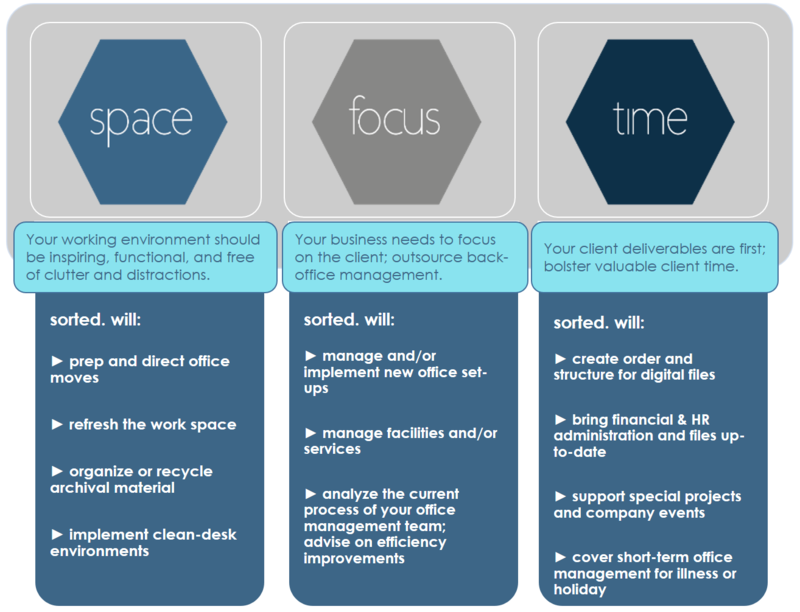 The same organizing principles used in the home can be applied to the workplace. As a small business owner, you need to be a jack-of-all-trades, but not every trade is our strongest. Perhaps your work-space has gotten a little out of order as your business has grown, or your inbox is suddenly full but your old systems just don’t seem to be cutting it. sorted. is here to help. Did you also know I am available to manage ad hoc projects such as bookkeeping and filing, office moves or new office set-ups, office management and receptionist duties, special projects and event planning/organization? This gives you more time and energy for what matters—your clients. Contact me by phone or mail to discuss my business rates & how I can help you get sorted.